Why Enlist the Help of a Party Catering Company? Parties are fun, right? For every one that attends it's just a matter of simply turning up on the correct date, following the dress code that has been set for the party and then enjoying themselves. Behind the scenes however, it's a rather different story. There are so many arrangements to make when throwing a party. Firstly you have to decide on a date, which needs to be convenient for all people you are planning to invite. You also have to decide on a venue for the party, before drawing up a guest list and sending out invitations. Then there's the food and drink to take care of and possibly some entertainment to organize. This list goes on and on, and these are just the things you have to do before the party. On the day of the party things really kick into overdrive and more often than not, as the host you are too busy and stressed to actually enjoy the party, leaving you to wonder why you even organized it in the first place. The level of catering is something that can make or break your party and is one of the most time intensive aspects of the preparation. Why not consider outsourcing this task to a professional party catering company? As we've already mentioned party catering takes up a vast amount of time and when there is so many other things to take care of, time is a precious commodity. Imagine you have dozens of guests; how could you ever expect to prepare enough food for this amount of people on your own or even with limited help? When you allow a professional company to take care of the catering, you have one less thing to worry about and more time to focus on other aspects of the preparation. "Have you thought about using a party catering company?" "No, party catering companies charge a fortune and I just can't afford it." That's how the conversation usually goes. It's a common misconception that party catering companies increase the overall cost of your party rather than help to decrease it. But have you ever stopped to consider that these people are professionals and know how to provide large amounts of food on a small budget. This is knowledge that you most likely don't possess, meaning that if you plan to take care of the catering yourself, you will probably spend significantly more when buying the food compared to catering professionals. While you will have to pay a fee for their services, the total cost of hiring a catering company often amounts to no more than it would if you took care of the catering yourself, and sometimes it's even a little lower. If you aren't a master chef or don't have a vast amount of experience in preparing menus, there is no shame in admitting it. In fact, the majority of our clients come to us for this very reason. We are sure you are aware how important the food is to the success of your party. It's one of the aspects that guests will analyse and comment on after the party. When working with a party catering company you don't have to worry about whether the food is going to be of a high enough quality; established caterers will have prepared hundreds or even thousands of menus in the past and know exactly what combinations of foods work and how to satisfy every guest that attends your party. 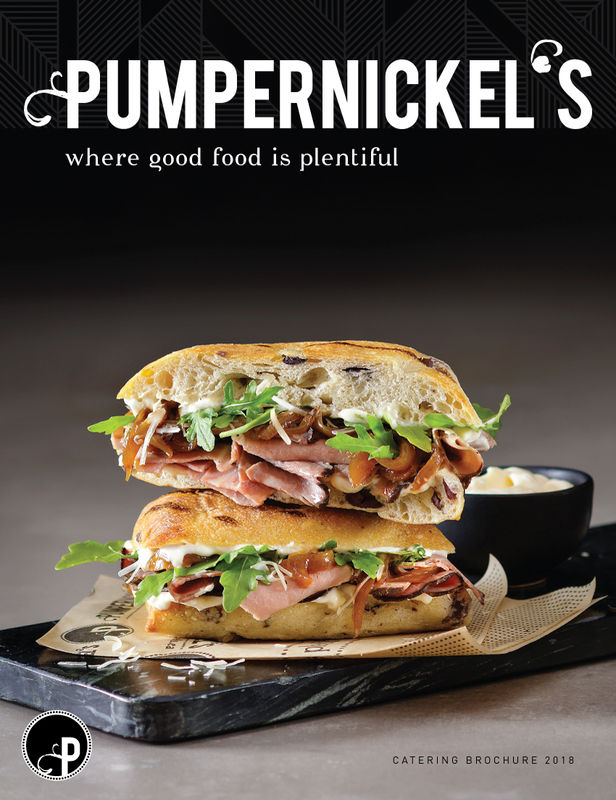 At Pumpernickels we provide you with the opportunity to personally try every dish that we place on your menu before the day of your party. You can then provide us with feedback and we can then make any alterations you deem necessary to the menu. With party catering it is not only how appealing the food is to the taste buds of your guests that you have to concern yourself with; you should also try to ensure dishes are visually appealing. This is not something you are probably used to doing at home; you most likely plate the food you prepare in any old fashion. Making sure all food is well presented is just another thing to worry about when doing the catering on your own. Professional caterers on the other hand are used to preparing food that will have you salivating from the moment you set your eyes on it. If you would like further information about the services we offer or would like to speak to a member of our team today about your party catering requirements for an event in Toronto, Mississauga or Vaughan.